This is a shrubby compact Bougainvilla, almost spineless and self-supporting. It keeps a lovely, tidy look because it does not spread, climb or scramble. It is perfect for pots. This is also an "everblooming" selection and in warm climates will have flowers almost all-year-round. 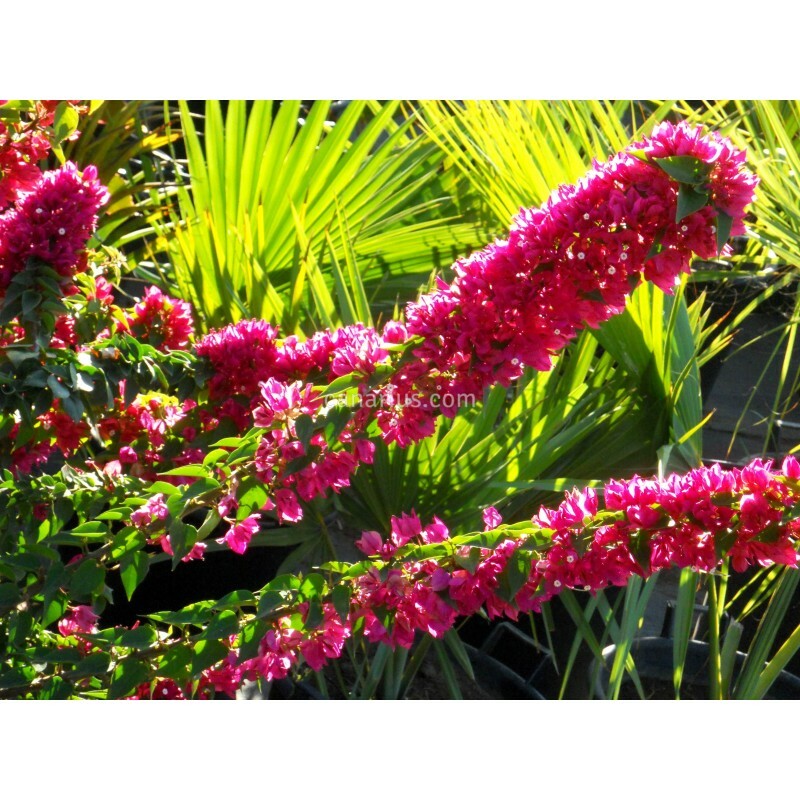 This is a shrubby compact Bougainvilla almost spineless and self-supporting. It has deep pink bracts, and keeps a lovely, tidy look because it does not spread, climb or scramble. This is also an "everblooming" selection and in warm climates will have flowers almost all-year-round. Perfect for pots. 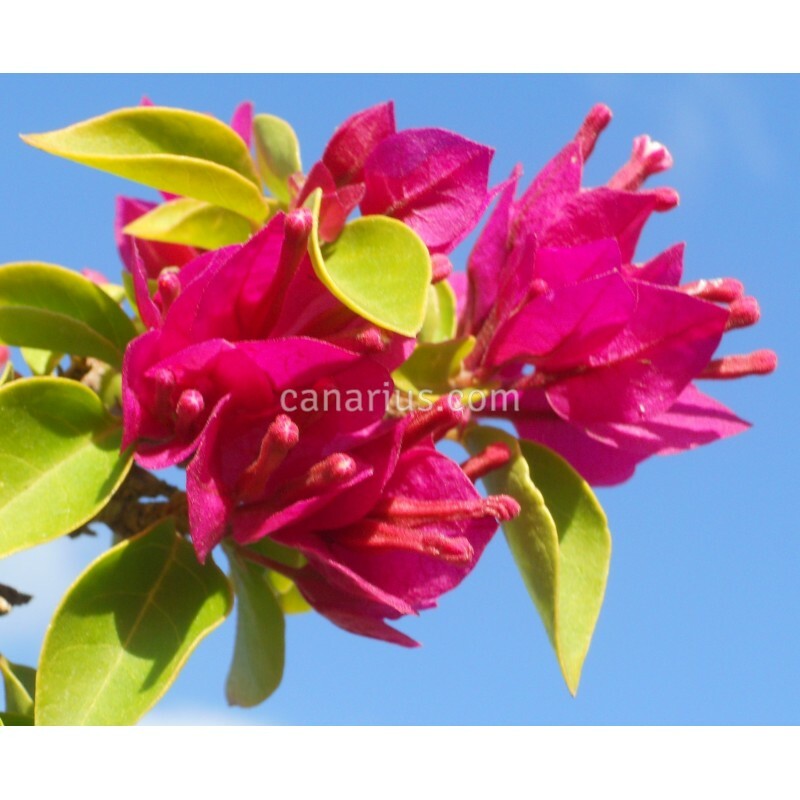 Bougainvillas are fabuolous scrambling-climbing shrubs, well known for their long lasting blooms and their ease of cultivation in mediterranean to tropical countries. They are native to Central America. Their colourful blooms are composed by showy leaf-like bracts. Each group of bracts contain the small true flowers, creamy-white. 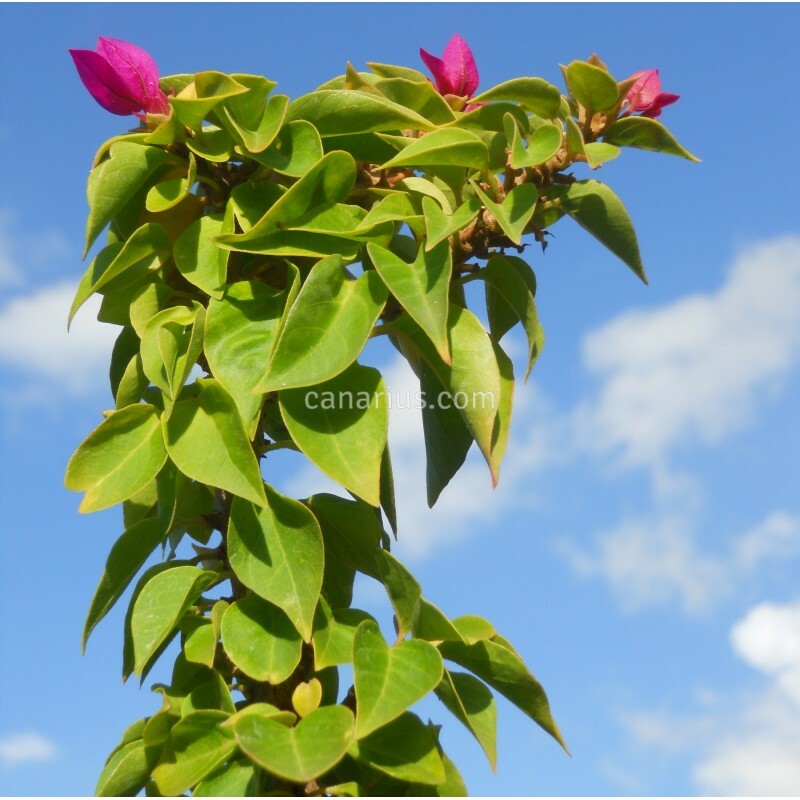 Bougainvillas can be grown in pots and kept small but in the ground they can also become tree-like giants. After decades trunks can grow to 10-40 cm in diameter! Full sun is required for proper growth and blooming. Almost any soil is good, but of drainage and some organic matter will help. Flowering often happens after growth, or after a dry spell. In tropical countries blooming often happens in the hot, dry season and plants can be leafless with lots of bright colourful bracts. In warm countries they are often pruned every year or every other year, in order to ensure new tidy growth. There is no such thing as a dead bougainvillea. They are only killed by real frost and by everwet shady conditions. They can resurrect from a stick. 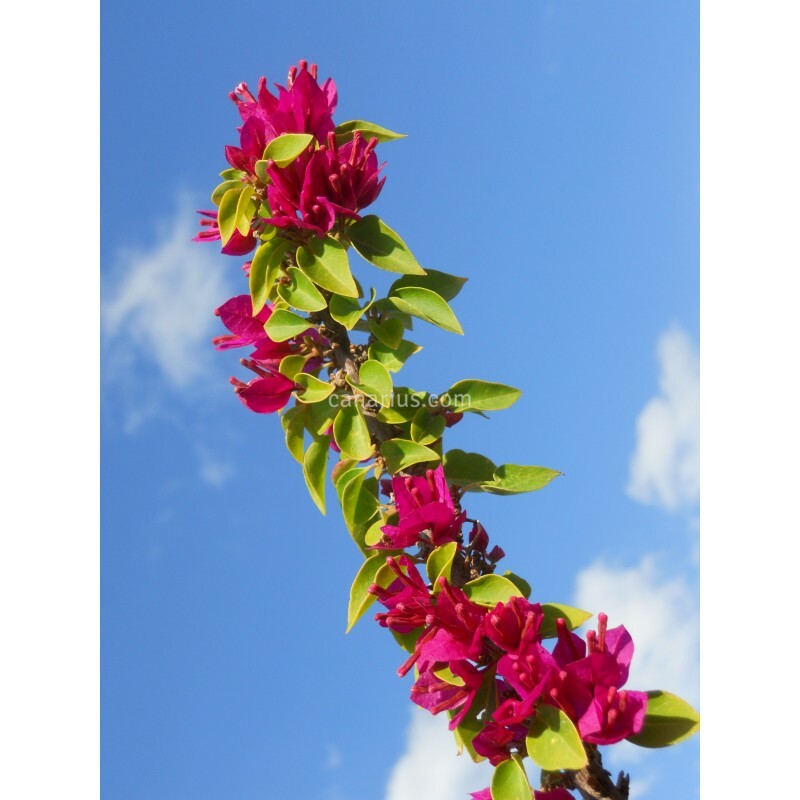 Bougainvilleas grow better without frost but they do survive to a few degrees below zero and loose some branches. Larger plants are much hardier than juveniles. In Mediterranean countries a south-facing wall is often more than enough. In higher latitudes, pot colture is often preferred because they can be easily overwintered indoors with hard pruning in autumn. Anybody who can give real full sun in summer, can grow a bougainvillea in a pot.